My Bachelor of the Arts might not have done much in the way of landing me a job, but if nothing else it enabled me to get a real kick out of this book. Not that you need to possess a mostly useless English degree to enjoy Embassytown. It’s just that the four years I spent at university left me with a deep and abiding affection for language. And debt. But mostly that affection for language thing. And while all of Mieville’s books display a way with the English language that is truly breathtaking (even flawed Kraken. Hell, maybe especially Kraken), Embassytown is the first one that is truly about language. The book is set on a frontier planet where the smallish human settlement lives in relative harmony with the planet’s original occupants, the Ariekei. I loved the way Mieville handled the Ariekei. These dudes are seriously alien. It took many years for the first humans to figure out a way to even communicate with them, and decades later they are still barely understood. 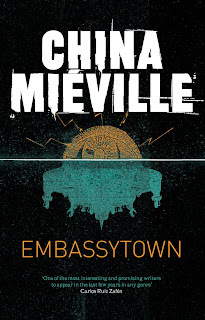 Where so many books use things like “translator chips” and the like to bridge the gap between humans and aliens, Mieville offers a more realistic and satisfying approach. 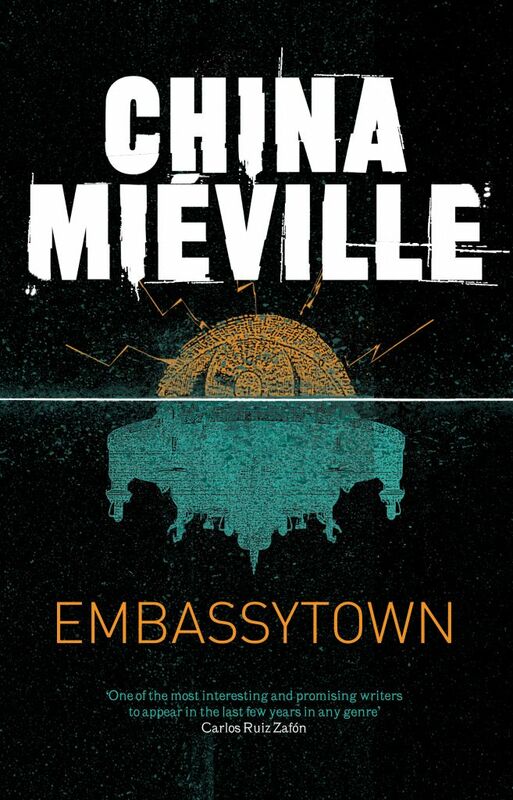 One of the best things about this book is the slow way Mieville expands upon the humans and the Ariekei. As much as I want to discuss it further, I’m really wary of giving too much away and spoiling that fun for others. Or maybe I don’t want to make it too easy for them. There is no hand holding here, every bit of understanding is hard earned by the reader. But there’s a real sense of satisfaction that comes with that. I just want to say that the way the humans and the Ariekei communicate with each other is really ingenious, and I can’t recall encountering anything like it elsewhere. As for the characters… Well, except for the truly amazing ‘The Scar,’ I don’t think characters are Mieville’s strong point. They’re not badly done or anything, it’s just that his settings tend to be so fantastically weird and his plots so bizarre that the characters tend to get a little lost in it all. Having said that, the cast of ‘Embassytown’ is still pretty great. Avice, the main character, is just the right mix of flawed and heroic, and I really liked jaded Bran. And his villains are not really villains so much as they are men and woman in trapped in a untenable situation, doing what they can to survive. And I don’t know about you, but I’ll take that after a mustache twirling, puppy kicking bad guy any day. The last thing I really liked about this book was its treatment of marriage and relationships. This aspect of the book was very much in the background, and Mieville never even comes close to getting all preachy about it, and I think that’s why it worked so well. Often in books set in the future either everything is different, or everything has stayed the same. Its not often you get a more realistic mix of some things have changed, and some haven’t. Actually, this applies to all aspects of Embassytown, not just the romantic ones. All in all I found Embassytown to be a highly challenging but extremely satisfying read, and after the slight disappointment of Kraken I couldn’t be more pleased about that. I have a mostly useless English degree too!